USE CASE SCENARIO: You are a project lead and your team mates use Sifter to manage issues. You are constantly on the move. You need to be informed of status changes and updates to issues. You don't want to wait to get to your computer to look them up. Enter Bucket. 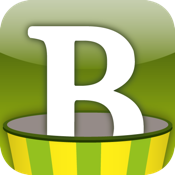 With Bucket you can easily use your iPhone to keep track of all the issues. You can access all issues on all you projects. You can filter them by status, priority, assignee, and more. More updates are on the way as soon as the new APIs are available (APIs such as write access and attachments). Don't wait. Download it now and see how you can quickly access all your issues. • While almost all of the data from your Sifter account is freely accessible from the app without any payment, you will be able to view detailed comments only with an active subscription. You will need to subscribe to the in-App subscription called "Bucket Read Access Subscription". This will turn on the ability to view all the comments. • Please be aware that the write APIs are not yet available and therefore you cannot update issues with this app. • This AUTO-RENEWABLE SUBSCRIPTION come in three durations: Monthly, half-yearly, and annual. The monthly subscription costs $0.99 per month. The half-yearly subscription (6 months) costs $4.99 for 6 months. The annual (12 month) subscription costs $8.99 per year. • Your account will be charged for renewal within 24-hours prior to the end of the current period, at the same rate as your existing active subscription. • You can manage your subscriptions and turn off auto-renewal by going to your Account Settings after purchase. • This app is not eligible for a free trial period for the in-app subscriptions.